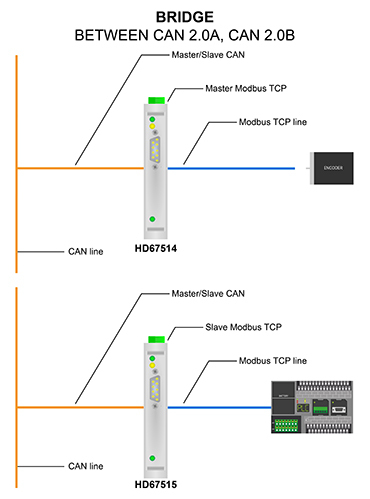 This serie of products allows to integrate a CAN network with a Modbus TCP net. These converters are contained in a metal housing, so it is STRONG and RESISTANT to the vibrations and shocks. 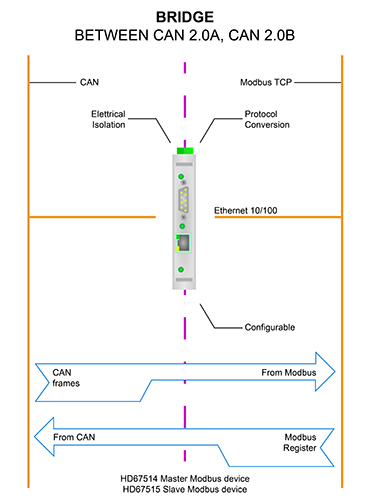 The electrical parts are with triple isolation of 4000 V between CAN/Modbus - CAN/Power Supply - Modbus/Power Supply. Two versions, one with Varnished PCB and one with Resined PCB. Varnished treatment gives dust and humidity protection, Resined treatment gives high water, dust and vibrations protection.